Comments: The most common cultivated form of English oak. It grows to a large imposing tree with a narrow columnar habit with dense foliage. Due to its narrow growth habit it makes an excellent residential street tree. 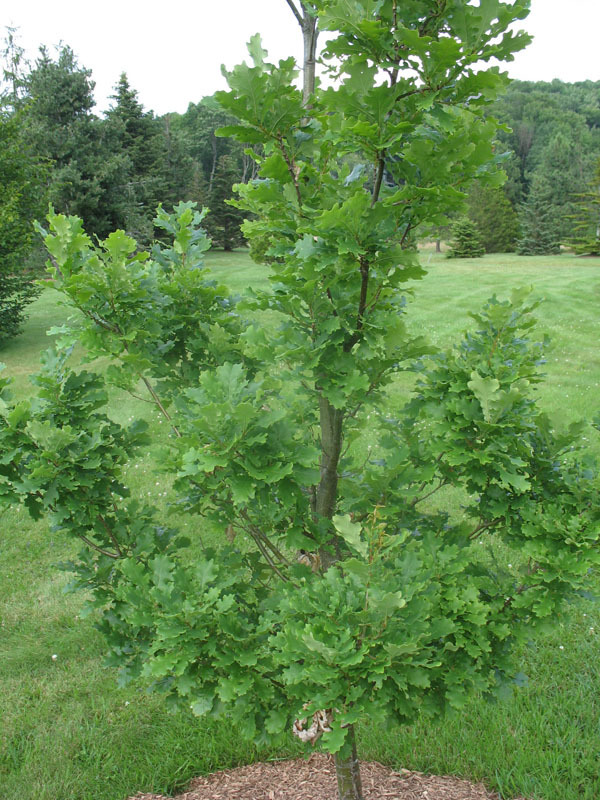 In residential landscapes tree is used as a specimen or accent tree. It has tolerance to urban air pollution and where poor drainage, compacted soil; drought may be encountered.